Our ever-increasingly ubiquitous technology makes possible all manner of things that would have been insurmountable just decades ago. We carry smartphones that envelope more computational power than mainframes just a generation ago. Yet for all this power at our fingertips we seem to forget that we are still very much human animals with limitations. One such “shortcoming” [your friendly editor believes it’s a boon] is our inability to multitask like our phones. I’ve written about this before, and am compelled to do so again after reading this thoughtful essay by Daniel J. Levitin, extracted from his book The Organized Mind: Thinking Straight in the Age of Information Overload. I even had to use his phrasing for the title of this post. Just having the opportunity to multitask is detrimental to cognitive performance. Glenn Wilson, former visiting professor of psychology at Gresham College, London, calls it info-mania. His research found that being in a situation where you are trying to concentrate on a task, and an email is sitting unread in your inbox, can reduce your effective IQ by 10 points. And although people ascribe many benefits to marijuana, including enhanced creativity and reduced pain and stress, it is well documented that its chief ingredient, cannabinol, activates dedicated cannabinol receptors in the brain and interferes profoundly with memory and with our ability to concentrate on several things at once. Wilson showed that the cognitive losses from multitasking are even greater than the cognitive losses from pot?smoking. Through the lens of extreme isolation Michael Bond shows us in this fascinating article how we really are social animals. Remove a person from all meaningful social contact — even for a short while — and her mind will begin to play tricks and eventually break. Michael Bond is author of The Power of Others. 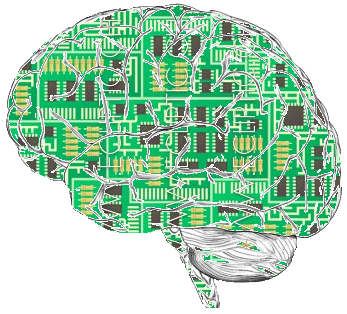 Neuromorphic chips are here. But don’t worry these are not brain implants that you might expect to see in a William Gibson or Iain Banks novel. Neuromorphic processors are designed to simulate brain function, and learn or mimic certain types of human processes such as sensory perception, image processing and object recognition. The field is making tremendous advances, with companies like Qualcomm — better known for its mobile and wireless chips — leading the charge. Until recently complex sensory and mimetic processes had been the exclusive realm of supercomputers. Left Brain, Right Brain or Top Brain, Bottom Brain? Are you analytical and logical? If so, you are likely to be labeled as being “left-brained”. On the other hand, if you are emotional and creative, you are more likely to be labeled “right-brained”. And so the popular narrative of brain function continues. But this generalized distinction is a myth. Our brains’ hemispheres do specialize, but not in such an overarching way. Recent research points to another distinction: top brain and bottom brain. 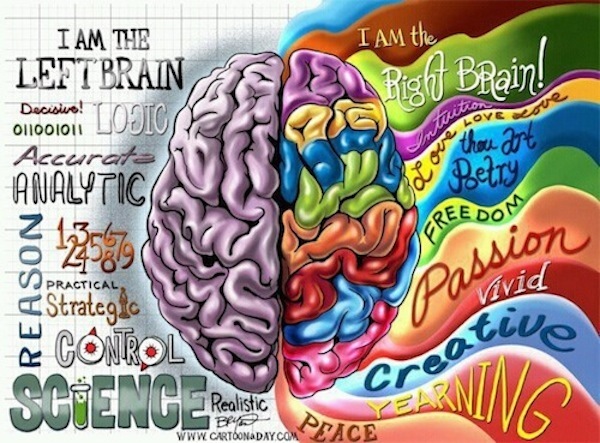 Image: Left-brain, right-brain cartoon. Courtesy of HuffingtonPost. 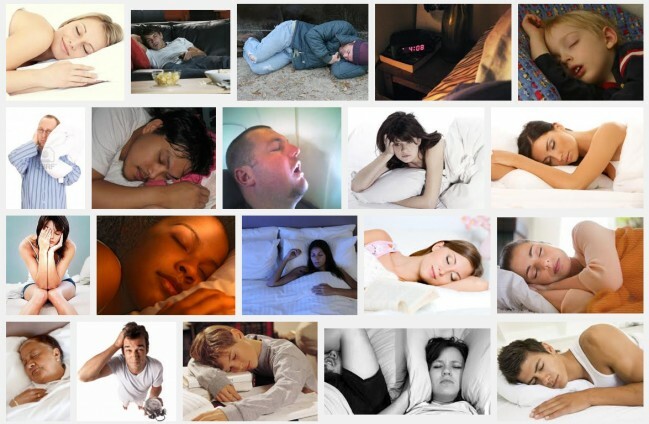 There are more theories on why we sleep than there are cable channels in the U.S. But that hasn’t prevented researchers from proposing yet another one — it’s all about flushing waste. Writing in the journal Science, Nedergaard describes how brain cells in mice shrank when they slept, making the space between them on average 60% greater. This made the cerebral spinal fluid in the animals’ brains flow ten times faster than when the mice were awake. The scientists then checked how well mice cleared toxins from their brains by injecting traces of proteins that are implicated in Alzheimer’s disease. These amyloid beta proteins were removed faster from the brains of sleeping mice, they found. Nedergaard believes the clean-up process is more active during sleep because it takes too much energy to pump fluid around the brain when awake. “You can think of it like having a house party. You can either entertain the guests or clean up the house, but you can’t really do both at the same time,” she said in a statement. According to the scientist, the cerebral spinal fluid flushes the brain’s waste products into what she calls the “glymphatic system” which carries it down through the body and ultimately to the liver where it is broken down. Other researchers were sceptical of the study, and said it was too early to know if the process goes to work in humans, and how to gauge the importance of the mechanism. “It’s very attractive, but I don’t think it’s the main function of sleep,” said Raphaelle Winsky-Sommerer, a specialist on sleep and circadian rhythms at Surrey University. “Sleep is related to everything: your metabolism, your physiology, your digestion, everything.” She said she would like to see other experiments that show a build up of waste in the brains of sleep-deprived people, and a reduction of that waste when they catch up on sleep. Vladyslav Vyazovskiy, another sleep expert at Surrey University, was also sceptical. “I’m not fully convinced. Some of the effects are so striking they are hard to believe. I would like to see this work replicated independently before it can be taken seriously,” he said. Jim Horne, professor emeritus and director of the sleep research centre at Loughborough University, cautioned that what happened in the fairly simple mouse brain might be very different to what happened in the more complex human brain. “Sleep in humans has evolved far more sophisticated functions for our cortex than that for the mouse, even though the present findings may well be true for us,” he said. But Nedergaard believes she will find the same waste disposal system at work in humans. The work, she claims, could pave the way for medicines that slow the onset of dementias caused by the build-up of waste in the brain, and even help those who go without enough sleep. “It may be that we can reduce the need at least, because it’s so annoying to waste so much time sleeping,” she said. A new batch of research points to a higher incidence of depression in night owls than in early risers. Further studies will be required to determine a true causal link, but initial evidence seems to suggest that those who stay up late have structural differences in the brain leading to a form of chronic jet lag. ‘Tis the stuff of science fiction. And, it’s also quite real and happening in a lab near you. Image: Cerebral organoid derived from stem cells containing different brain regions. Courtesy of Japan Times. When asked about handedness Nick Moran over a TheMillions says, “everybody’s born right-handed, but the best overcome it.” Funny. And perhaps, now, based on several rings of truth. Several meta-studies on the issue of handedness suggest that lefties may indeed have an advantage over their right-handed cousins in a specific kind of creative thinking known as divergent thinking. Divergent thinking is the ability to generate new ideas for a single principle quickly. Lombroso would go on to argue that the key to understanding the essence of criminality lay in organic, physical, and constitutional features—each defect being a throwback to a more primitive and bestial psyche. 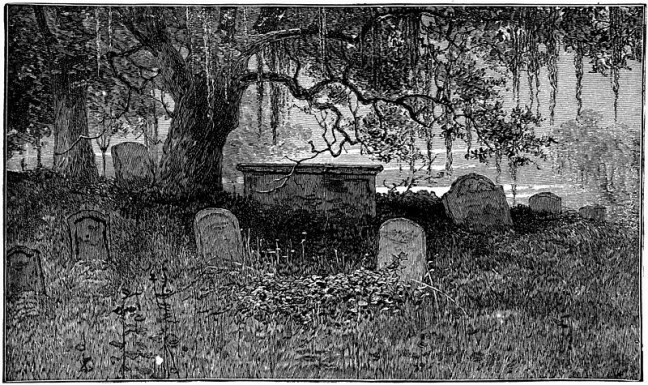 And while his original insight had come from a skull, certain telltale signs, he believed, could be discerned long before an autopsy. Chief among these was left-handedness. Though Lombroso’s science may seem suspect to a modern eye, less-than-favorable views of the left-handed have persisted. In 1977, the psychologist Theodore Blau argued that left-handed children were over-represented among the academically and behaviorally challenged, and were more vulnerable to mental diseases like schizophrenia. “Sinister children,” he called them. The psychologist Stanley Coren, throughout the eighties and nineties, presented evidence that the left-handed lived shorter, more impoverished lives, and that they were more likely to experience delays in mental and physical maturity, among other signs of “neurological insult or physical malfunctioning.” Toward the end of his career, the Harvard University neurologist Norman Geschwind implicated left-handedness in a range of problematic conditions, including migraines, diseases of the immune system, and learning disorders. He attributed the phenomenon, and the related susceptibilities, to higher levels of testosterone in utero, which, he argued, slowed down the development of the brain’s left hemisphere (the one responsible for the right side of the body). But over the past two decades, the data that seemed compelling have largely been discredited. In 1993, the psychologist Marian Annett, who has spent half a century researching “handedness,” as it is known, challenged the basic foundation of Coren’s findings. The data, she argued, were fundamentally flawed: it wasn’t the case that left-handers led shorter lives. Rather, the older you were, the more likely it was that you had been forced to use your right hand as a young child. The mental-health data have also withered: a 2010 analysis of close to fifteen hundred individuals that included schizophrenic patients and their non-affected siblings found that being left-handed neither increased the risk of developing schizophrenia nor predicted any other cognitive or neural disadvantage. And when a group of neurologists scanned the brains of four hundred and sixty-five adults, they found no effect of handedness on either grey or white matter volume or concentration, either globally or regionally. Left-handers may, in fact, even derive certain cognitive benefits from their preference. This spring, a group of psychiatrists from the University of Athens invited a hundred university students and graduates—half left-handed and half right—to complete two tests of cognitive ability. In the Trail Making Test, participants had to find a path through a batch of circles as quickly as possible. In the hard version of the test, the circles contain numbers and letters, and participants must move in ascending order while alternating between the two as fast as possible. In the second test, Letter-Number Sequencing, participants hear a group of numbers and letters and must then repeat the whole group, but with numbers in ascending order and letters organized alphabetically. Lefties performed better on both the complex version of the T.M.T.—demonstrating faster and more accurate spatial skills, along with strong executive control and mental flexibility—and on the L.N.S., demonstrating enhanced working memory. And the more intensely they preferred their left hand for tasks, the stronger the effect. The Athens study points to a specific kind of cognitive benefit, since both the T.M.T. and the L.N.S. are thought to engage, to a large extent, the right hemisphere of the brain. But a growing body of research suggests another, broader benefit: a boost in a specific kind of creativity—namely, divergent thinking, or the ability to generate new ideas from a single principle quickly and effectively. In one demonstration, researchers found that the more marked the left-handed preference in a group of males, the better they were at tests of divergent thought. (The demonstration was led by the very Coren who had originally argued for the left-handers’ increased susceptibility to mental illness.) Left-handers were more adept, for instance, at combining two common objects in novel ways to form a third—for example, using a pole and a tin can to make a birdhouse. They also excelled at grouping lists of words into as many alternate categories as possible. Another recent study has demonstrated an increased cognitive flexibility among the ambidextrous and the left-handed—and lefties have been found to be over-represented among architects, musicians, and art and music students (as compared to those studying science). Part of the explanation for this creative edge may lie in the greater connectivity of the left-handed brain. In a meta-analysis of forty-three studies, the neurologist Naomi Driesen and the cognitive neuroscientist Naftali Raz concluded that the corpus callosum—the bundle of fibers that connects the brain’s hemispheres—was slightly but significantly larger in left-handers than in right-handers. The explanation could also be a much more prosaic one: in 1989, a group of Connecticut College psychologists suggested that the creativity boost was a result of the environment, since left-handers had to constantly improvise to deal with a world designed for right-handers. In a 2013 review of research into handedness and cognition, a group of psychologists found that the main predictor of cognitive performance wasn’t whether an individual was left-handed or right-handed, but rather how strongly they preferred one hand over another. Strongly handed individuals, both right and left, were at a slight disadvantage compared to those who occupied the middle ground—both the ambidextrous and the left-handed who, through years of practice, had been forced to develop their non-dominant right hand. In those less clear-cut cases, the brain’s hemispheres interacted more and overall performance improved, indicating there may something to left-handed brains being pushed in a way that a right-handed one never is. Whatever the ultimate explanation may be, the advantage appears to extend to other types of thinking, too. In a 1986 study of students who had scored in the top of their age group on either the math or the verbal sections of the S.A.T., the prevalence of left-handers among the high achievers—over fifteen per cent, as compared to the roughly ten percent found in the general population—was higher than in any comparison groups, which included their siblings and parents. Among those who had scored in the top in both the verbal and math sections, the percentage of left-handers jumped to nearly seventeen per cent, for males, and twenty per cent, for females. That advantage echoes an earlier sample of elementary-school children, which found increased left-handedness among children with I.Q. scores above a hundred and thirty-one. 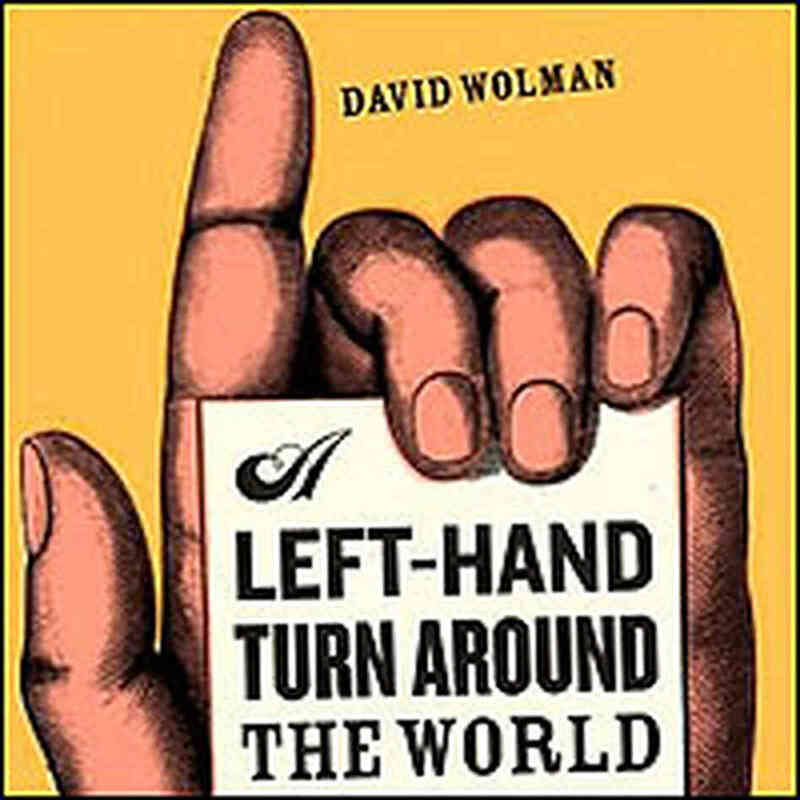 Image: Book cover – David Wolman’s new book, A Left Hand Turn Around the World, explores the scientific factors that lead to 10 percent of the human race being left-handed. Courtesy of NPR. Pathological criminals and the non-criminals who seek to understand them have no doubt co-existed since humans first learned to steal from and murder one another. So while we may be no clearer in fully understanding the underlying causes of anti-social, destructive and violent behavior many researchers continue their quests. In one camp are those who maintain that such behavior is learned or comes as a consequence of poor choices or life-events, usually traumatic, or through exposure to an acute psychological or physiological stressor. In the other camp, are those who argue that genes and their subsequent expression, especially those controlling brain function, are a principal cause. Some recent neurological studies of criminals and psychopaths shows fascinating, though not unequivocal, results. The scientific study of crime got its start on a cold, gray November morning in 1871, on the east coast of Italy. Cesare Lombroso, a psychiatrist and prison doctor at an asylum for the criminally insane, was performing a routine autopsy on an infamous Calabrian brigand named Giuseppe Villella. Lombroso found an unusual indentation at the base of Villella’s skull. From this singular observation, he would go on to become the founding father of modern criminology. Lombroso’s controversial theory had two key points: that crime originated in large measure from deformities of the brain and that criminals were an evolutionary throwback to more primitive species. Criminals, he believed, could be identified on the basis of physical characteristics, such as a large jaw and a sloping forehead. Based on his measurements of such traits, Lombroso created an evolutionary hierarchy, with Northern Italians and Jews at the top and Southern Italians (like Villella), along with Bolivians and Peruvians, at the bottom. 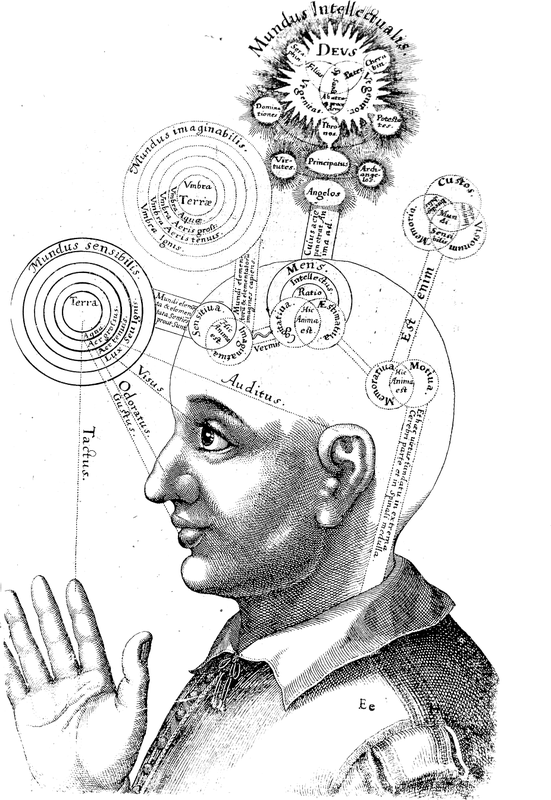 These beliefs, based partly on pseudoscientific phrenological theories about the shape and size of the human head, flourished throughout Europe in the late 19th and early 20th centuries. Lombroso was Jewish and a celebrated intellectual in his day, but the theory he spawned turned out to be socially and scientifically disastrous, not least by encouraging early-20th-century ideas about which human beings were and were not fit to reproduce—or to live at all. The racial side of Lombroso’s theory fell into justifiable disrepute after the horrors of World War II, but his emphasis on physiology and brain traits has proved to be prescient. Modern-day scientists have now developed a far more compelling argument for the genetic and neurological components of criminal behavior. They have uncovered, quite literally, the anatomy of violence, at a time when many of us are preoccupied by the persistence of violent outrages in our midst. The field of neurocriminology—using neuroscience to understand and prevent crime—is revolutionizing our understanding of what drives “bad” behavior. More than 100 studies of twins and adopted children have confirmed that about half of the variance in aggressive and antisocial behavior can be attributed to genetics. Other research has begun to pinpoint which specific genes promote such behavior. Brain-imaging techniques are identifying physical deformations and functional abnormalities that predispose some individuals to violence. In one recent study, brain scans correctly predicted which inmates in a New Mexico prison were most likely to commit another crime after release. Nor is the story exclusively genetic: A poor environment can change the early brain and make for antisocial behavior later in life. Most people are still deeply uncomfortable with the implications of neurocriminology. Conservatives worry that acknowledging biological risk factors for violence will result in a society that takes a soft approach to crime, holding no one accountable for his or her actions. Liberals abhor the potential use of biology to stigmatize ostensibly innocent individuals. Both sides fear any seeming effort to erode the idea of human agency and free will. It is growing harder and harder, however, to avoid the mounting evidence. With each passing year, neurocriminology is winning new adherents, researchers and practitioners who understand its potential to transform our approach to both crime prevention and criminal justice. The genetic basis of criminal behavior is now well established. Numerous studies have found that identical twins, who have all of their genes in common, are much more similar to each other in terms of crime and aggression than are fraternal twins, who share only 50% of their genes. In a landmark 1984 study, my colleague Sarnoff Mednick found that children in Denmark who had been adopted from parents with a criminal record were more likely to become criminals in adulthood than were other adopted kids. The more offenses the biological parents had, the more likely it was that their offspring would be convicted of a crime. For biological parents who had no offenses, 13% of their sons had been convicted; for biological parents with three or more offenses, 25% of their sons had been convicted. As for environmental factors that affect the young brain, lead is neurotoxic and particularly damages the prefrontal region, which regulates behavior. Measured lead levels in our bodies tend to peak at 21 months—an age when toddlers are apt to put their fingers into their mouths. Children generally pick up lead in soil that has been contaminated by air pollution and dumping. Rising lead levels in the U.S. from 1950 through the 1970s neatly track increases in violence 20 years later, from the ’70s through the ’90s. (Violence peaks when individuals are in their late teens and early 20s.) As lead in the environment fell in the ’70s and ’80s—thanks in large part to the regulation of gasoline—violence fell correspondingly. No other single factor can account for both the inexplicable rise in violence in the U.S. until 1993 and the precipitous drop since then. Lead isn’t the only culprit. Other factors linked to higher aggression and violence in adulthood include smoking and drinking by the mother before birth, complications during birth and poor nutrition early in life. Genetics and environment may work together to encourage violent behavior. One pioneering study in 2002 by Avshalom Caspi and Terrie Moffitt of Duke University genotyped over 1,000 individuals in a community in New Zealand and assessed their levels of antisocial behavior in adulthood. They found that a genotype conferring low levels of the enzyme monoamine oxidase A (MAOA), when combined with early child abuse, predisposed the individual to later antisocial behavior. Low MAOA has been linked to reduced volume in the amygdala—the emotional center of the brain—while physical child abuse can damage the frontal part of the brain, resulting in a double hit. Brain-imaging studies have also documented impairments in offenders. Murderers, for instance, tend to have poorer functioning in the prefrontal cortex—the “guardian angel” that keeps the brakes on impulsive, disinhibited behavior and volatile emotions. 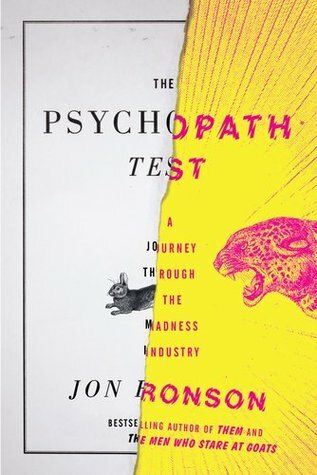 Image: The Psychopath Test by Jon Ronson, book cover. Courtesy of Goodreads. Rattling off esoteric facts to friends and colleagues at a party or in the office is often seen as a simple way to impress. You may have tried this at some point — to impress a prospective boy or girl friend or a group of peers or even your boss. Not surprisingly, your facts will impress if they are relevant to the discussion at hand. However, your audience will be even more agog at your uncanny, intellectual prowess if the facts and figures relate to some wildly obtuse domain — quotes from authors, local bird species, gold prices through the years, land-speed records through the ages, how electrolysis works, etymology of polysyllabic words, and so it goes. So, it comes as no surprise that many technology companies fall over themselves to promote their products as a way to make you, the smart user, even smarter. But does having constant, realtime access to a powerful computer or smartphone or spectacles linked to an immense library of interconnected content, make you smarter? Some would argue that it does; that having access to a vast, virtual disk drive of information will improve your cognitive abilities. There is no doubt that our technology puts an unparalleled repository of information within instant and constant reach: we can read all the classic literature — for that matter we can read the entire contents of the Library of Congress; we can find an answer to almost any question — it’s just a Google search away; we can find fresh research and rich reference material on every subject imaginable. Yet, all this information will not directly make us any smarter; it is not applied knowledge nor is it experiential wisdom. It will not make us more creative or insightful. However, it is more likely to influence our cognition indirectly — freed from our need to carry volumes of often useless facts and figures in our heads, we will be able to turn our minds to more consequential and noble pursuits — to think, rather than to memorize. That is a good thing. Quick, what’s the square root of 2,130? 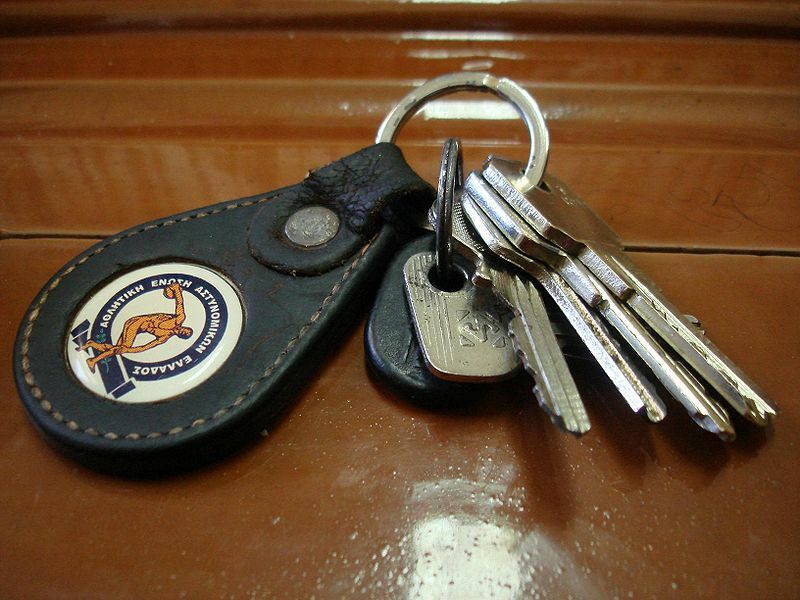 How many Roadmaster convertibles did Buick build in 1949? What airline has never lost a jet plane in a crash? If you answered “46.1519,” “8,000,” and “Qantas,” there are two possibilities. One is that you’re Rain Man. The other is that you’re using the most powerful brain-enhancement technology of the 21st century so far: Internet search. True, the Web isn’t actually part of your brain. And Dustin Hoffman rattled off those bits of trivia a few seconds faster in the movie than you could with the aid of Google. But functionally, the distinctions between encyclopedic knowledge and reliable mobile Internet access are less significant than you might think. Math and trivia are just the beginning. Memory, communication, data analysis—Internet-connected devices can give us superhuman powers in all of these realms. A growing chorus of critics warns that the Internet is making us lazy, stupid, lonely, or crazy. Yet tools like Google, Facebook, and Evernote hold at least as much potential to make us not only more knowledgeable and more productive but literally smarter than we’ve ever been before. The idea that we could invent tools that change our cognitive abilities might sound outlandish, but it’s actually a defining feature of human evolution. When our ancestors developed language, it altered not only how they could communicate but how they could think. Mathematics, the printing press, and science further extended the reach of the human mind, and by the 20th century, tools such as telephones, calculators, and Encyclopedia Britannica gave people easy access to more knowledge about the world than they could absorb in a lifetime. Yet it would be a stretch to say that this information was part of people’s minds. There remained a real distinction between what we knew and what we could find out if we cared to. The Internet and mobile technology have begun to change that. Many of us now carry our smartphones with us everywhere, and high-speed data networks blanket the developed world. If I asked you the capital of Angola, it would hardly matter anymore whether you knew it off the top of your head. Pull out your phone and repeat the question using Google Voice Search, and a mechanized voice will shoot back, “Luanda.” When it comes to trivia, the difference between a world-class savant and your average modern technophile is perhaps five seconds. And Watson’s Jeopardy! triumph over Ken Jennings suggests even that time lag might soon be erased—especially as wearable technology like Google Glass begins to collapse the distance between our minds and the cloud. Fifteen years on and well into the age of Google, the idea of the extended mind feels more relevant today. “Ned Block [an NYU professor] likes to say, ‘Your thesis was false when you wrote the article—since then it has come true,’ ” Chalmers says with a laugh. So here’s a second pop quiz. Where were you on the night of Feb. 8, 2010? What are the names and email addresses of all the people you know who currently live in New York City? What’s the exact recipe for your favorite homemade pastry? Naysayers would say that government, and hence taxpayer dollars, should not be used to fund science initiatives. After all academia and business seem to do a fairly good job of discovery and innovation without a helping hand pilfering from the public purse. And, without a doubt, and money aside, government funded projects do raise a number of thorny questions: On what should our hard-earned income tax be spent? Who decides on the priorities? How is progress to be measured? Do taxpayers get any benefit in return? After many of us cringe at the thought of an unelected bureaucrat or a committee of such spending millions if not billions of our dollars. Why not just spend the money on fixing our national potholes? But despite our many human flaws and foibles we are at heart explorers. We seek to know more about ourselves, our world and our universe. Those who seek answers to fundamental questions of consciousness, aging, and life are pioneers in this quest to expand our domain of understanding and knowledge. These answers increasingly aid our daily lives through continuous improvement in medical science, and innovation in materials science. And, our collective lives are enriched as we increasingly learn more about the how and the why of our and our universe’s existence. So, some of our dollars have gone towards big science at the Large Hadron Collider (LHC) beneath Switzerland looking for constituents of matter, the wild laser experiment at the National Ignition Facility designed to enable controlled fusion reactions, and the Curiosity rover exploring Mars. Yet more of our dollars have gone to research and development into enhanced radar, graphene for next generation circuitry, online courseware, stress in coral reefs, sensors to aid the elderly, ultra-high speed internet for emergency response, erosion mitigation, self-cleaning surfaces, flexible solar panels. Now comes word that the U.S. government wants to spend $3 billion dollars — over 10 years — on building a comprehensive map of the human brain. The media has dubbed this the “connectome” following similar efforts to map our human DNA, the genome. While this is the type of big science that may yield tangible results and benefits only decades from now, it ignites the passion and curiosity of our children to continue to seek and to find answers. So, this is good news for science and the explorer who lurks within us all. Over the weekend, The New York Times reported that the Obama administration is preparing to launch biology into its first big project post-genome: mapping the activity and processes that power the human brain. The initial report suggested that the project would get roughly $3 billion dollars over 10 years to fund projects that would provide an unprecedented understanding of how the brain operates. But the report was remarkably short on the scientific details of what the studies would actually accomplish or where the money would actually go. 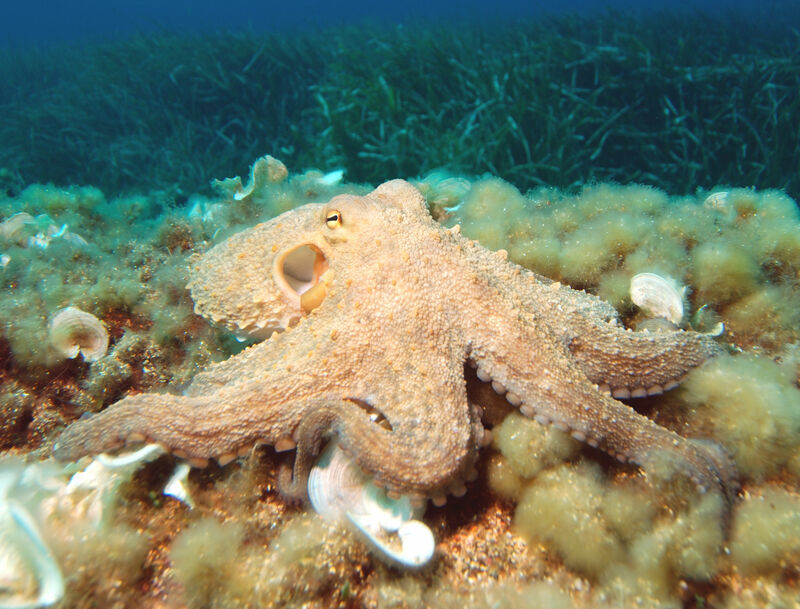 To get a better sense, we talked with Brown University’s John Donoghue, who is one of the academic researchers who has been helping to provide the rationale and direction for the project. Although he couldn’t speak for the administration’s plans, he did describe the outlines of what’s being proposed and why, and he provided a glimpse into what he sees as the project’s benefits. What are we talking about doing? Donaghue was enthused about the idea that the different aspects of the project would feed into each other. “They go hand in hand,” he said. “As we gain more functional information, it’ll inform the connectional map and vice versa.” In the same way, knowing more about neural coding will help us interpret the activity we see, while more detailed recordings of neural activity will make it easier to infer the code. How will we actually do this? Perception and the nature of the mind have bothered scientists and philosophers for centuries—why should we think we can tackle them now? Donaghue cited three fields that had given him and his collaborators cause for optimism: nanotechnology, synthetic biology, and optical tracers. We’ve now reached the point where, thanks to advances in nanotechnology, we’re able to produce much larger arrays of electrodes with fine control over their shape, allowing us to monitor much larger populations of neurons at the same time. On a larger scale, chemical tracers can now register the activity of large populations of neurons through flashes of fluorescence, giving us a way of monitoring huge populations of cells. And Donaghue suggested that it might be possible to use synthetic biology to translate neural activity into a permanent record of a cell’s activity (perhaps stored in DNA itself) for later retrieval. Right now, in Donaghue’s view, the problem is that the people developing these technologies and the neuroscience community aren’t talking enough. Biologists don’t know enough about the tools already out there, and the materials scientists aren’t getting feedback from them on ways to make their tools more useful. Since the problem is understanding the activity of the brain at the level of large populations of neurons, the goal will be to develop the tools needed to do so and to make sure they are widely adopted by the bioscience community. Each of these approaches is limited in various ways, so it will be important to use all of them and to continue the technology development. Assuming the information can be recorded, it will generate huge amounts of data, which will need to be shared in order to have the intended impact. And we’ll need to be able to perform pattern recognition across these vast datasets in order to identify correlations in activity among different populations of neurons. So there will be a heavy computational component as well. There is a macabre brilliance to the machine in Jeff Lichtman’s laboratory at Harvard University that is worthy of a Wallace and Gromit film. In one end goes brain. Out the other comes sliced brain, courtesy of an automated arm that wields a diamond knife. The slivers of tissue drop one after another on to a conveyor belt that zips along with the merry whirr of a cine projector. Lichtman’s machine is an automated tape-collecting lathe ultramicrotome (Atlum), which, according to the neuroscientist, is the tool of choice for this line of work. It produces long strips of sticky tape with brain slices attached, all ready to be photographed through a powerful electron microscope. When these pictures are combined into 3D images, they reveal the inner wiring of the organ, a tangled mass of nervous spaghetti. The research by Lichtman and his co-workers has a goal in mind that is so ambitious it is almost unthinkable. If we are ever to understand the brain in full, they say, we must know how every neuron inside is wired up. Though fanciful, the payoff could be profound. Map out our “connectome” – following other major “ome” projects such as the genome and transcriptome – and we will lay bare the biological code of our personalities, memories, skills and susceptibilities. Somewhere in our brains is who we are. To use an understatement heard often from scientists, the job at hand is not trivial. Lichtman’s machine slices brain tissue into exquisitely thin wafers. To turn a 1mm thick slice of brain into neural salami takes six days in a process that yields about 30,000 slices. But chopping up the brain is the easy part. When Lichtman began this work several years ago, he calculated how long it might take to image every slice of a 1cm mouse brain. The answer was 7,000 years. “When you hear numbers like that, it does make your pulse quicken,” Lichtman said. The human brain is another story. There are 85bn neurons in the 1.4kg (3lbs) of flesh between our ears. 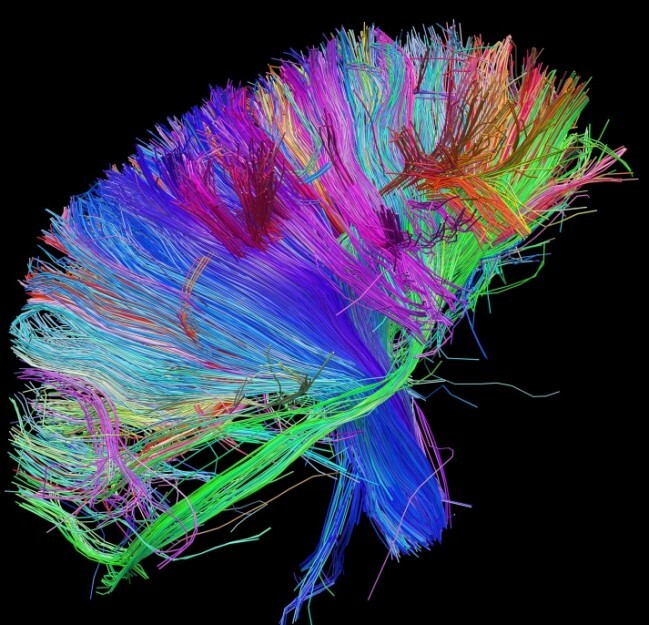 Each has a cell body (grey matter) and long, thin extensions called dendrites and axons (white matter) that reach out and link to others. Most neurons have lots of dendrites that receive information from other nerve cells, and one axon that branches on to other cells and sends information out. On average, each neuron forms 10,000 connections, through synapses with other nerve cells. Altogether, Lichtman estimates there are between 100tn and 1,000tn connections between neurons. Unlike the lung, or the kidney, where the whole organ can be understood, more or less, by grasping the role of a handful of repeating physiological structures, the brain is made of thousands of specific types of brain cell that look and behave differently. Their names – Golgi, Betz, Renshaw, Purkinje – read like a roll call of the pioneers of neuroscience. Lichtman, who is fond of calculations that expose the magnitude of the task he has taken on, once worked out how much computer memory would be needed to store a detailed human connectome. He says he is about to submit a paper on mapping a minuscule volume of the mouse connectome and is working with a German company on building a multibeam microscope to speed up imaging. For some scientists, mapping the human connectome down to the level of individual cells is verging on overkill. “If you want to study the rainforest, you don’t need to look at every leaf and every twig and measure its position and orientation. It’s too much detail,” said Olaf Sporns, a neuroscientist at Indiana University, who coined the term “connectome” in 2005. 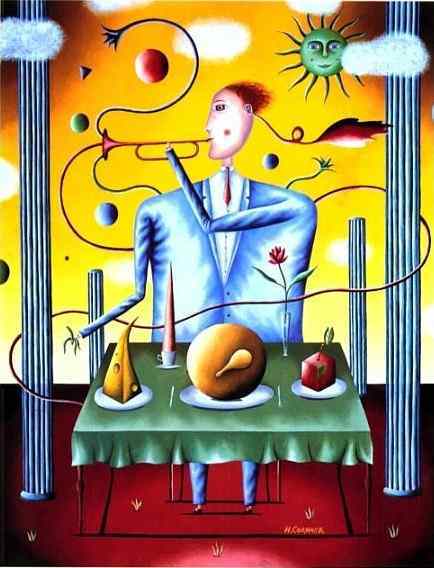 THAT some people make weird associations between the senses has been acknowledged for over a century. The condition has even been given a name: synaesthesia. 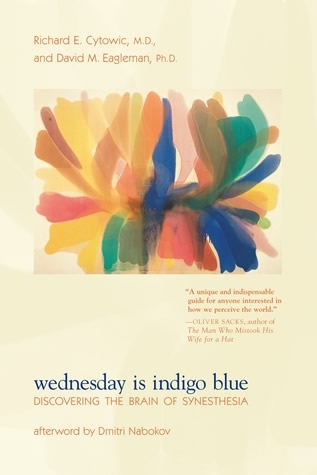 Odd as it may seem to those not so gifted, synaesthetes insist that spoken sounds and the symbols which represent them give rise to specific colours or that individual musical notes have their own hues. Yet there may be a little of this cross-modal association in everyone. Most people agree that loud sounds are “brighter” than soft ones. Likewise, low-pitched sounds are reminiscent of large objects and high-pitched ones evoke smallness. Anne-Sylvie Crisinel and Charles Spence of Oxford University think something similar is true between sound and smell. Ms Crisinel and Dr Spence wanted to know whether an odour sniffed from a bottle could be linked to a specific pitch, and even a specific instrument. To find out, they asked 30 people to inhale 20 smells—ranging from apple to violet and wood smoke—which came from a teaching kit for wine-tasting. After giving each sample a good sniff, volunteers had to click their way through 52 sounds of varying pitches, played by piano, woodwind, string or brass, and identify which best matched the smell. 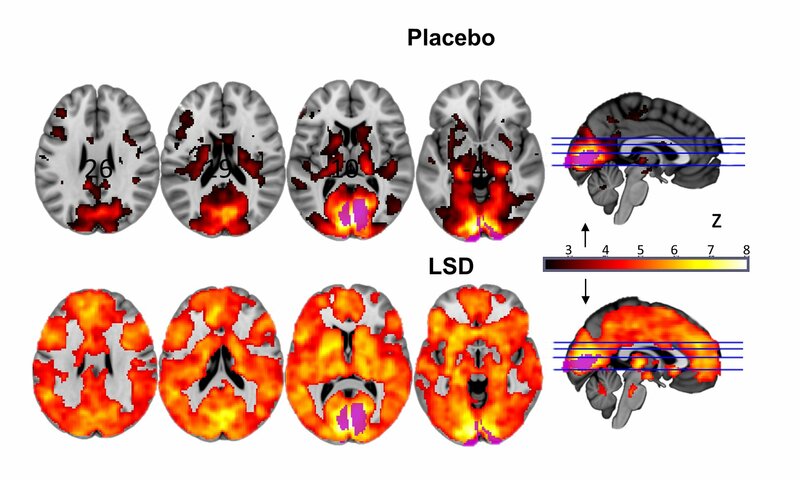 The results of this study, to be published later this month in Chemical Senses, are intriguing. The researchers’ first finding was that the volunteers did not think their request utterly ridiculous. It rather made sense, they told them afterwards. The second was that there was significant agreement between volunteers. Sweet and sour smells were rated as higher-pitched, smoky and woody ones as lower-pitched. Blackberry and raspberry were very piano. Vanilla had elements of both piano and woodwind. 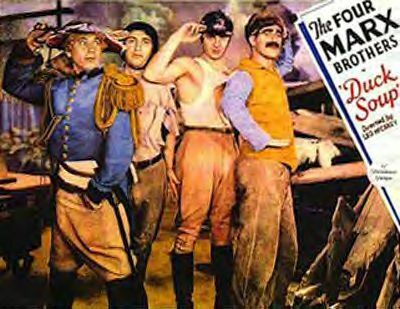 Musk was strongly brass. It is not immediately clear why people employ their musical senses in this way to help their assessment of a smell. But gone are the days when science assumed each sense worked in isolation. People live, say Dr Spence and Ms Crisinel, in a multisensory world and their brains tirelessly combine information from all sources to make sense, as it were, of what is going on around them. Nor is this response restricted to humans. Studies of the brains of mice show that regions involved in olfaction also react to sound. Taste, too, seems linked to hearing. Ms Crisinel and Dr Spence have previously established that sweet and sour tastes, like smells, are linked to high pitch, while bitter tastes bring lower pitches to mind. Now they have gone further. In a study that will be published later this year they and their colleagues show how altering the pitch and instruments used in background music can alter the way food tastes.